In the days following American Paul Whelan’s arrest in Moscow on espionage charges, suggestive details began to emerge about his past. A tainted military background. A career in corporate security. Curious communications on a Russian social media platform. Secretary of State Mike Pompeo said Friday that “unfortunately” he could not comment on the allegations against Whelan. But ex-U.S. officials and intelligence experts maintain that Whelan’s profile has so far come to look less like a professional spy and more like that of someone who could be conveniently framed as one. Whelan, a former U.S. Marine who held passports from four Western nations, was arrested in Moscow on Dec. 28 by Russian security services and charged under an espionage law, according to an announcement by Russia’s Federal Security Service (FSB). A Russian news outlet called Rosbalt, known to be close to the intelligence services, cited an anonymous security agency source in reporting that Whelan had been caught in a posh Moscow hotel with a memory card that contained a secret list of Russian government personnel. Those reports have not been verified, and in the two weeks since his detention, no further official information on the allegations against Whelan has been released, other than Friday’s formal confirmation of the charge against him. Whelan’s family denied that he is a spy and said he was in Moscow to attend a friend’s wedding. A Russian defense attorney for Whelan has said he denies the espionage charge and will plead not guilty. 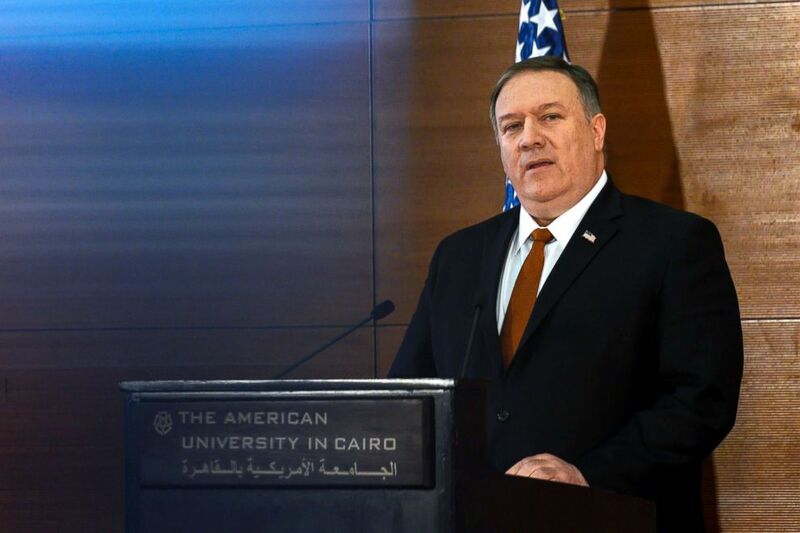 Secretary of State Mike Pompeo speaks to students at the American University Cairo, in the eastern suburb of New Cairo, Egypt, Jan. 10, 2019. Though the world of international espionage is by its nature murky and it’s unclear what evidence Russia has against Whelan, almost immediately after news of Whelan’s arrest broke former U.S. officials said they doubted the allegations and suspected a set-up. From the information available, they said Whelan didn’t appear to be a professional spy and, though U.S. intelligence agencies are known to have used private individuals for some espionage work, that seemed unlikely in this case. “If he was involved in anything related to intelligence, it was a massive, uncoordinated screw-up,” John Sipher, a former senior CIA official who served in Moscow, told ABC News. 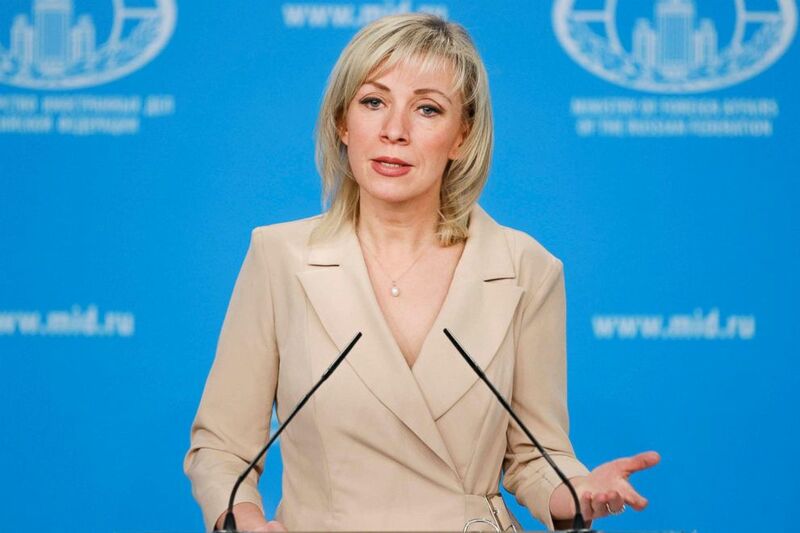 Russian Foreign Ministry’s spokeswoman Maria Zakharova speaks to the media during her weekly briefing in Moscow. Whelan, a naturalized U.S. citizen who was born in Canada, served in the U.S. Marines from 1994 to 2008, mostly in administrative positions. According to military records, he received a bad conduct discharge for attempted larceny and other charges. That Whelan had been booted from the Marines for serious misconduct, officials said, made it even more unlikely he could have worked for an American intelligence agency. After the military, Whelan worked in security at Kelly Services, a personnel staffing firm, and later became head of global security for the Michigan-based international auto parts firm BorgWarner, according to the companies. BorgWarner has said Whelan was in Russia on a personal trip and that it has no facilities in the country. “That just makes it easier for them to come up with this propaganda ploy,” he said. Whelan also had a long-standing enthusiasm for Russia, traveling there previously several times, according to his twin brother, and talking online about his efforts to learn Russian. “Having grown up during the Cold War, it was a dream of mine to visit Russia and meet some of the sneaky Russians who had kept the western world at bay for so long,” Whelan wrote on a now-defunct personal site in 2006. For a decade, Whelan also maintained an account on the Russian social media site VKontakte, using it to reach out to ordinary Russians he often didn’t know. Those he contacted expressed surprise, saying they couldn’t understand why he had written to them. The unverified Rosbalt report claimed Whelan had sought out Russian men who might have access to classified material or friends who did. Most of Whelan’s around 55 friends on VKontakte appear to have graduated from military academies or belong to a uniformed Russian service. But all of those reached by Whelan who spoke to ABC News said he had never discussed their military service and had not talked about anything much beyond generalities. Pavel Laponov, a former soldier from Bryansk who was also contacted on VKontakte by Whelan, said Whelan had only ever written to offer opinions on countries he had visited. Whelan’s brother has said Paul Whelan always looked to make friends in whichever countries he visited as a tourist and that he had hoped to meet friends in Russia this time. Whelan’s Russian lawyer, Vladimir Zherebenkov, told ABC News last week he was aware of the Russian news report on the allegations against Whelan but said he was not permitted to comment on details of the investigation. Zherebenkov said the investigation and trial would confirm whether the reports were accurate. Some former officials said they feared Russia had detained Whelan in an act of “reciprocity” for the American arrest of Russian agent of influence Maria Butina, or in a bid to set up a swap for Butina or another Russian in U.S. custody down the road. Laying out what he thought was a likely scenario, Zherebenkov told ABC News last week he thought Whelan may well be tried, convicted and then pardoned and traded to for Russians held as criminals in the United States. In the Russian government’s first comments on Whelan’s case Wednesday, however, a spokesperson for President Vladimir Putin said, “Russia never uses people as pawns in diplomatic games.” Russian Foreign Ministry spokesperson Maria Zakharova told reporters on Friday that an exchange was “currently not on the table” and she expects Whelan to stand trial. Zherebenkov told ABC News he was certain that the Russian security services had been tracking Whelan for “quite a long time” before his arrest and that he had been under surveillance. While he is working on the basis that Whelan is innocent, he has repeatedly said investigators must have had substantial evidence to have made the arrest. Zherebenkov has not made clear how he was appointed, which concerns Whelan’s brother. Fourteen days after his arrest, Whelan’s ordeal is still mostly opaque, and it remains unclear whether he has any legitimate ties to any intelligence service. By policy, the CIA generally does not confirm or deny the identities of alleged employees, leaving skeptical observers with more questions than answers.